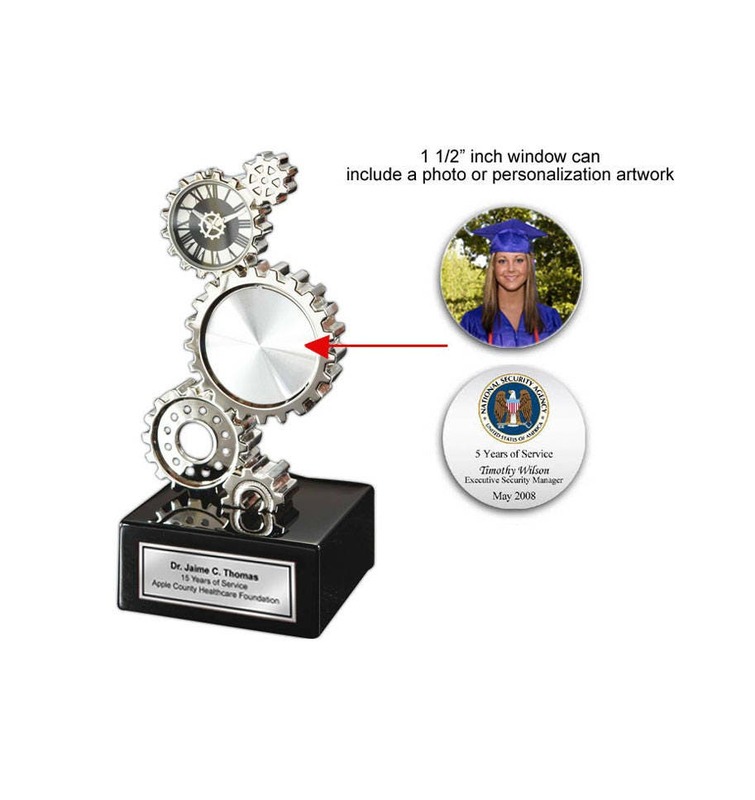 Gear Desk Clock with Silver Engraving Plate and Optional Photo Picture Frame. Great Engineering Gift, Gifts for Engineers, Graduation and Retirement Awards. Personalized desk clock with silver engraving plate. ► Contact us through Etsy email or TEXT us at 714.227.8735 or put info in "Note to Seller" field box and let us know what you want to engraved on the silver engraving plate. 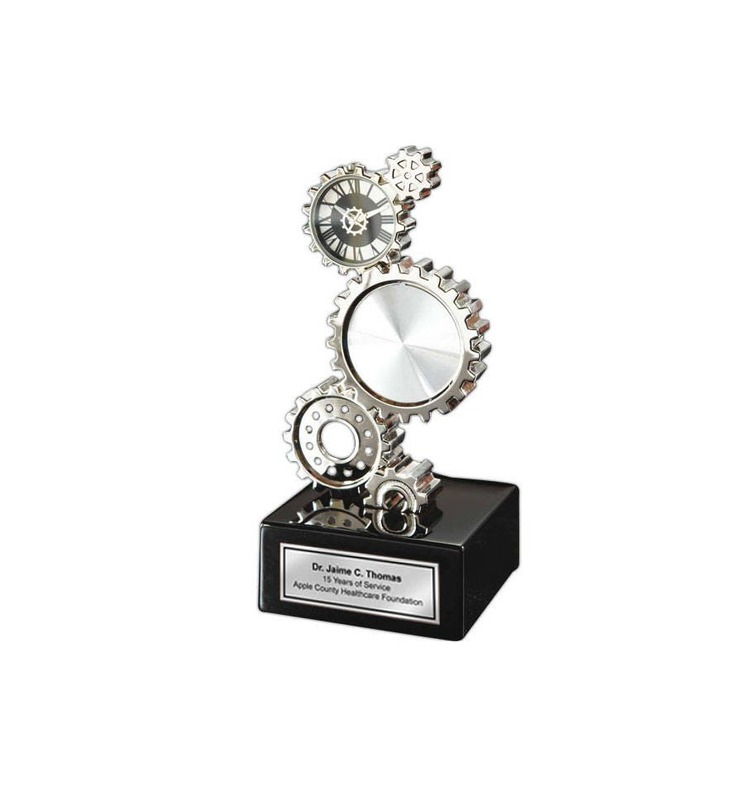 Personalized clock gifts by Framing Achievement, Inc. creation. Let our personalized engraved desk clock gift products imagination wander and explore the possibilities that you can create with a custom sentimental meaningful message in our elegant clock gifts. Rating high on style and elegance, Framing Achievement's personalized poem photo gifts are the first choice in premium poetry presents for Anniversary, Birthdays, Weddings, Retirement, Graduation and many more occasions. This beautiful engrave desk clock makes a unique retirement, employee recognition, wedding, anniversary or graduation gift present. A unique table desk clock gift idea for coworker, employee, boss, girlfriend, boyfriend, wife, husband, etc.... Congratulation engraved desk clock with distinction.